Raewyn writes paranormal romance, the perfect genre for blending her love of mythology, folklore and romance. 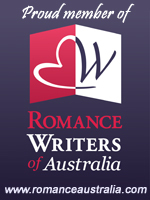 She is a member of Romance Writers of Australia and America, the Melbourne Romance Writers’ Guild and the coordinator of Romance Writers of Australia’s new contest, the Ella – the Romantic Novella of the Year Award. Though born and raised in New Zealand, Raewyn is a self-titled ‘quality import’ since moving to Australia almost ten years ago. She now calls Melbourne home with her husband and children. You can find Raewyn at Twitter @RaewynBright, where she occasionally retweets something profound.